Fine motor control of the hands is essential for performing precise, coordinated movements, such as picking up coins or writing. Most children learn to control these fine motor movements during the early years of childhood. However, some children have trouble perfecting these fine motor skills, while some adults have trouble maintaining them after a stroke or injury. Fortunately, fine motor exercises for the hand can benefit children and adults when performed regularly. Moving small objects from one place to another is an easy, yet effective, exercise for improving fine motor skills in the hands. For example, arrange a pile of dry beans or pennies on a table. Pick each item up individually and move it to an empty cup or bucket. Continue until all the items have been moved. Then, move each item back the table one by one. As your fine motor skills improve, use smaller objects. Once you feel comfortable with beans and pennies, move on to using small beads or dry grains of rice. You could also enhance the exercise by adding a little variation. For example, rather than simply moving clothespins from one place to another, pick them up from a pile and clip them onto the side of a paper cup. Or, make a chain of paper clips. Give your thumb and forefinger a break from the repetitive pinching motions with these simple cutting activities. 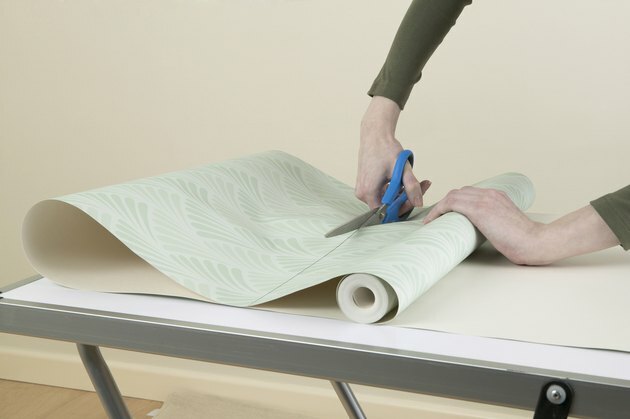 Begin with full-size scissors that feature large finger holes. As you progress through the exercises and your skills improve, switch to scissors with smaller finger holes that are more difficult to hold and control. When you first begin, focus on cutting out simple shapes like squares and rectangles. For example, cut out coupons from the weekly newspaper. As your skills improve, move on to more complex shapes and designs. Since drawing can also help improve your fine motor skills, you can enhance this exercise by first drawing your own shapes on paper and then cutting the shapes out with scissors. There are a variety of simple exercises you can do using typical objects from your home. For example, practice using your fingers and hands by buttoning a shirt or zipping a jacket. For another exercise, practice lacing and unlacing a pair of shoes. Once the shoes are laced, practice tying them several times. If you have a handful of nuts and bolts handy, get to work screwing and unscrewing them one by one. Continue improving the fine motor skills of your fingers by doing puzzles or turning the pages of a book one by one. If you're looking to improve the fine motor skills of your entire hand, challenge yourself to bounce and catch a small ball multiple times. Or, practice crumpling and uncrumpling a piece of paper. As your fine motor skills improve, you might need to move on to more advanced hand coordination exercises. Although these exercises utilize many of the same basic movements you have already practiced, they add a new complexity to the basic exercises. For example, arrange a pile of toothpicks on a table. Rather than moving them to a cup with your fingers, use a pair of tweezers to pick up each toothpick one by one. As another option, practice stringing buttons, beads or dry noodles onto a string. Once you become familiar with this exercise, try sewing with a needle and thread.